The Big Give Back: Wooter just announced they will be pledging $2.5M to establish new programs, help support underfunded organizations and create new opportunities for our kids to develop the skills they need to be successful. Since launching Wooter Apparel five years ago, one of the biggest goals of the company was being able to place themselves in position to give back. After growing the brand from Staten Island, New York to customizing sports jerseys and uniforms for recreational leagues, youth, semi-professional, college, and professional teams and leagues around the US and globally in over 25 countries, including Japan, Tanzania, Antigua, Grenada, Malta, the Netherlands and Australia, among others, Wooter remains focused on helping sports programs at home and abroad. “Our team is pledging $2.5M over the next three years towards donations and sponsorships for sports programs all over the world." Previous donations and sponsorship recipients have included Wooter Africa, Ballin 4 Peace, Each One Teach One (at Rucker Park), Irvington High School (Irvington, New Jersey), Balling 4 Lupus, Smush Parker’s Basketball Camp, and the BOSS Program (Business of Success Beyond Sports) just to name a few organizations that have benefitted from the generous support of Wooter. While designing and creating customized jerseys and uniforms for teams and leagues from Malaysia, to Tokyo, and North Korea to name a few have created global opportunities for Wooter to introduce their brand beyond boundaries around the world, Wooter Africa holds a very close place in the heart of Wooter Apparel. 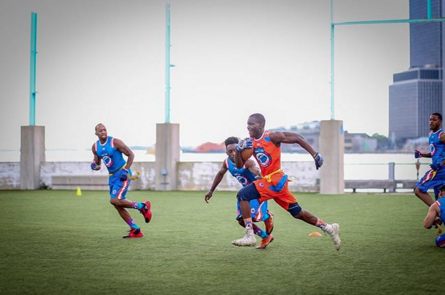 It's one thing to produce individual orders, but outfitting an entire 12-team league in Zanzibar, Tanzania, Africa is a story that runs much deeper. 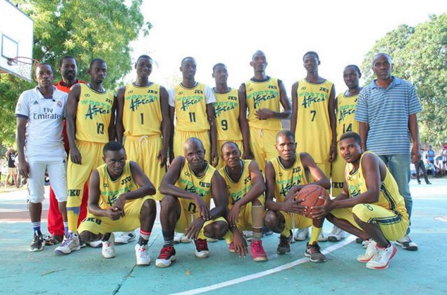 Back in May 2017, 24-year old Hamid Suleiman Ahmad contacted Wooter through social media to share his humble and heartfelt tale about growing up in Africa and the desire to outfit a basketball team made up of his friends and a uniform he'd drawn-up. Hamid created and designed everything -- from the blue and white uniform for his team, to the African logo that graced the front of the jersey. Wooter handled production and delivery within a two-week period, and within those fourteen days a dream became a reality that reached from Staten Island to East Africa. 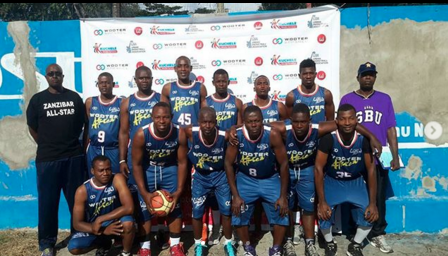 Suleiman has helped grow his dream into a reality as he serves as the Commissioner of the Zanzibar Basketball League, a 12-team league who is sponsored by Wooter, and who is preparing to open the second season in Tanzania, Africa. 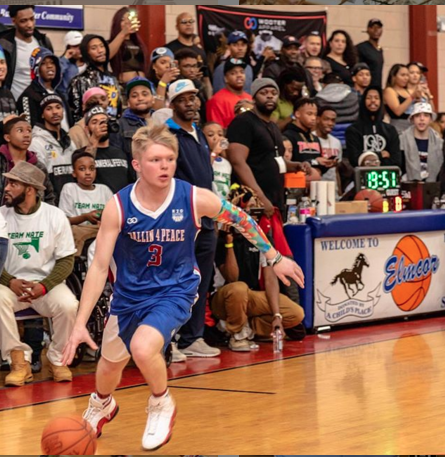 Last April, Wooter Apparel teamed-up with Ballin 4 Peace and Haron “H20” Hargrave for the 4th Annual community outreach event that raises gun violence awareness in Queens, New York at the Elmcor Youth and Adult Activities Center. 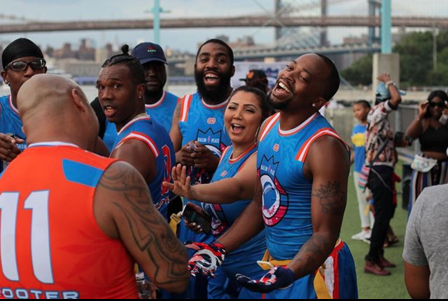 It was the second year where Wooter and Ballin 4 Peace collaborated on customized basketball uniforms for a roster featuring a number of local basketball players, hip-hop artists, entertainers, social media influencers, and Hargrave himself. "Presentation and having a sponsor partner like Wooter Apparel is super important. Wooter designed three different jerseys for us to choose from and then we left it up to our fans and followers on social media. It's been the second year working with Wooter and are so thankful for all they've done. The engagement has been tremendous and we're glad to keep Wooter's name out there whenever we can,” said Hargrave, a Queens native who played college basketball at Sacramento State and professionally from the CBA to Romania, Hungary, China, Dominican Republic, Colombia and Mexico. Ballin 4 Peace just doesn’t spend time on the basketball court giving back, but also the football field. 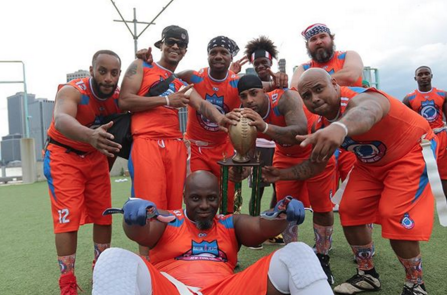 Five months after hosting their charity basketball game, Hargrave and Ballin 4 Peace hosted a charity flag football game at Brooklyn Bridge Park and once again turned to Wooter Apparel as their jersey and uniform sponsor. Along with basketball and the flag football game, Hargrave also organizes and runs an annual celebrity bowling charity event (you guessed it — Wooter Apparel designed and created the bowling shirts too!). 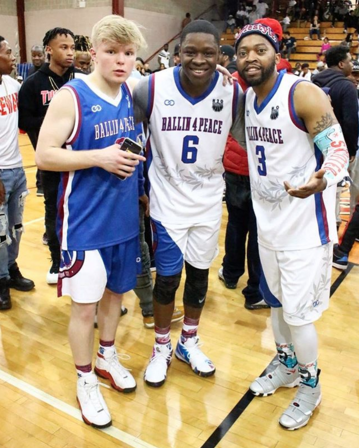 All three Ballin 4 Peace events are heavily rooted in community, service, and giving back on a local and personal level, which fits perfectly with Wooter’s dedicated approach to “paying it forward”. "I learned early on in life that it was my duty to give back…this is my path,” added Hargrave. Awards from the City of Long Beach, the County of Los Angeles, and the U.S. House of Representatives were presented to Wooter Apparel recognizing their contributions to youth athletics and the BOSS Program. For their “commitment to providing financial assistance to local teams and athletes”, Wooter was recognized by the City of Long Beach, County of Los Angeles, and the U.S. House of Representatives for their involvement in sponsoring the BOSS Program (Business of Success Beyond Sports) in 2017. The BOSS Program focuses on low income participants, works with student-athletes from middle school to college, helps offer financial support for college, and offers a comprehensive program that allows student-athletes to excel in academics and athletics. When it comes to youth sports and athletics, Wooter strives to make a difference locally, across the US, and on a global scale. 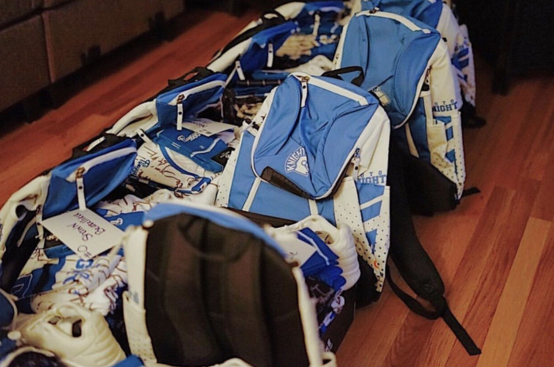 One example of how Wooter Apparel is helping give back to youth programs is the recent work by Jesse “Filayyy” Jones in presenting a number of unexpected gifts (including customized backpacks and shooting shirts from Wooter) to his high school alma mater, the Irvington Blue Knights basketball team. The generous donation drew headlines in New Jersey and showed how Wooter Apparel remains committed to a greater cause. For Wooter Apparel, dedicating the next three years to pledging $2.5M in donations and sponsorship opportunities comes from the heart and is about giving back to the same people and community that have helped support the company from the start. 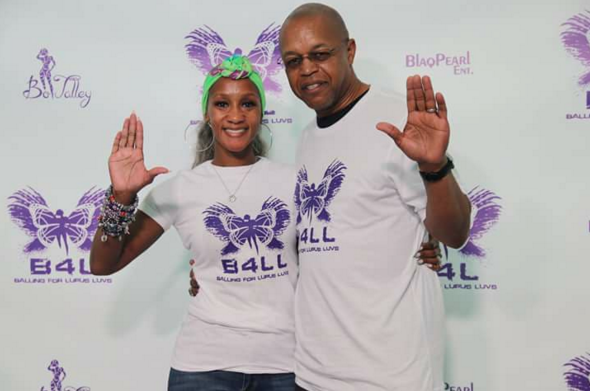 One of the more touching events to be a part of comes from the great work being done by Bo Talley-Williams and everyone at Balling 4 Lupus. 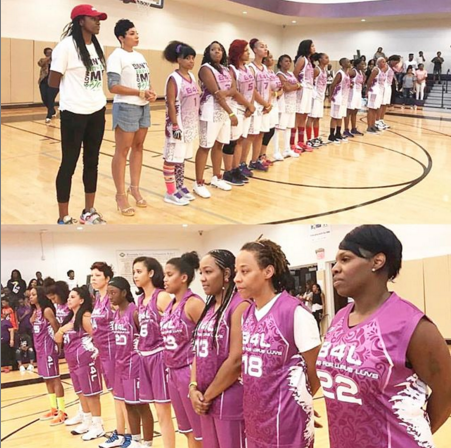 For the past 5 years, Balling 4 Lupus has been organized to support the Lupus Foundation of America and other 501c3 non-profit Lupus organizations and culminates with an all women’s charity basketball game. Not only is the annual event held in and around Atlanta, Georgia a chance to help lupus survivors and families in raising funds, driving awareness and finding a cure for the disease, but it has also been an opportunity for community to come together. 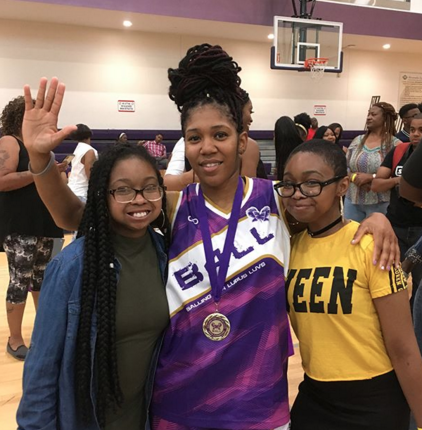 “I am most proud about this event because of all the awareness that it has brought to people in Atlanta and surrounding cities who had never heard of Lupus until they attended our event,” said Bo Talley-Williams about Balling 4 Lupus. 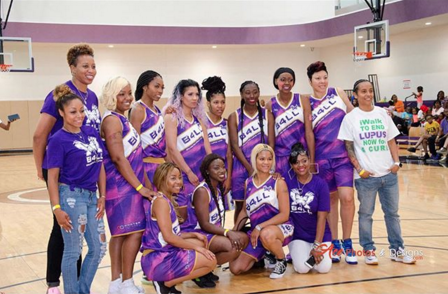 Wooter Apparel is proud to have designed and created the customized uniforms for Balling 4 Lupus for the past two years and are looking forward to the return of this event this year. It’s yet another chance to make an impact for social good — one jersey and uniform at a time. “As a leader in the sports industry, we believe Wooter has a responsibility to give back to the same people who helped get us here,” said Alex Aleksandrovski, Co-Founder and CEO of Wooter. We're always looking for new + exciting partnerships and opportunities. We want to hear from you.